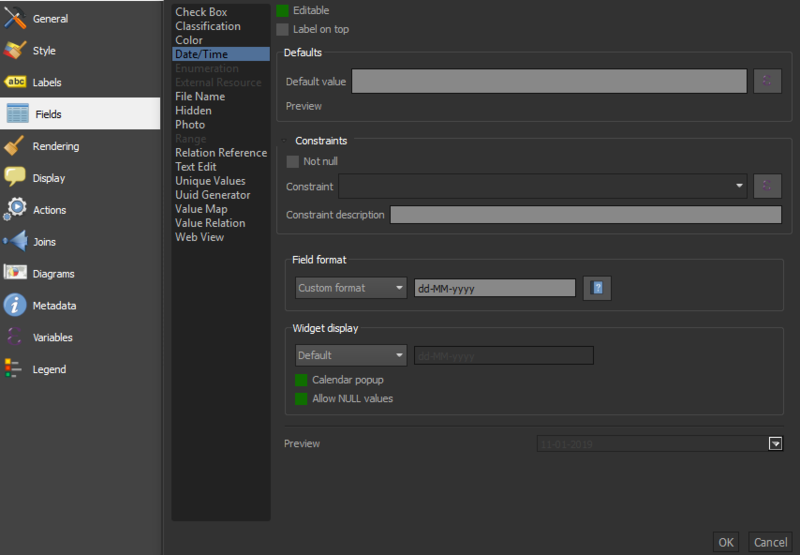 I have just created a date field attribute. 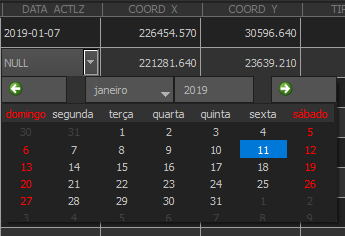 What I want to see is the date in this format: 07-01-2019 and not 2019-01-27. What do I need to do to have a permanent solution? 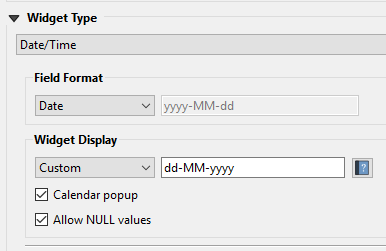 Bring back Field Format to default (yyyy-MM-dd) setting and customize the Widget Display only. Not the answer you're looking for? Browse other questions tagged qgis date format or ask your own question.